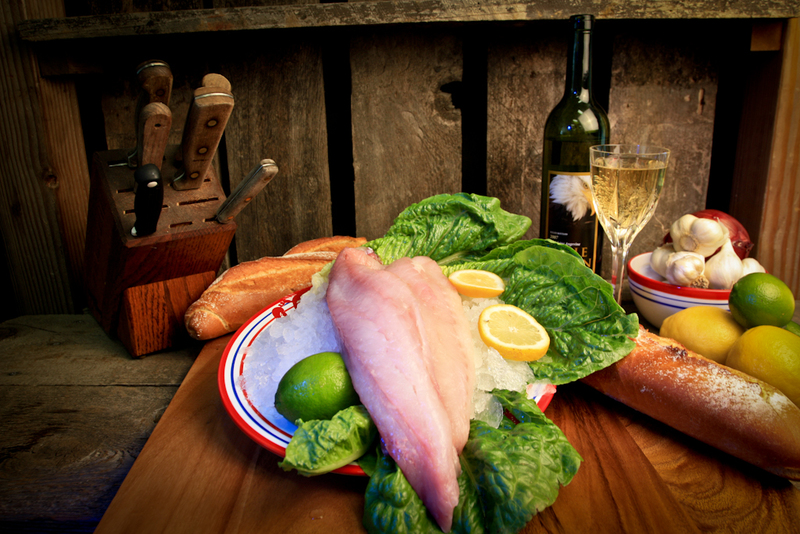 Pacific Rockfish is a northwest favorite. White to pink in color and very versatile. Ranging in size from 2 to 5 pounds. Most rockfish fall into two categories: red fleshed and brown fleshed. Rockfish has a delicate, nutty, sweet flavor. The meat is medium- firm in texture, with a fine flake. This fish holds up well to baking and remains moist when cooked. The firm texture also makes rockfish suitable for soups, chowders, and stews. In many cuisines, rockfish is whole, either steamed or fried, with a variety of sauces to accent the flavor. Fillets hold together better with skin on. While they might be sturdy enough to grill, whole, dressed fish barbecue well. Cut rockfish into serving-sized pieces. Combine water, lemon and salt in skillet; bring to boil. Add rockfish. (if necessary, add boiling water to cover fish.) Reduce heat and simmer about 10 minutes cooking time per inch of thickness measured at its thickest part or until rockfish flakes easily when tested with a fork. Transfer to serving a dish. Keep warm. Reserve 2/3 cup poaching liquid for Dill Sauce. Serve rockfish hot with Dill Sauce. Makes 4 or 5 servings. Saute 1-1/2 teaspoons finely chopped onion in 1 tablespoon butter or margarine. Stir in 1 tablespoon flour, 1/4 to 1/2 teaspoon salt, 1/4 teaspoon crushed dill weed and dash pepper; cook until bubbly. Gradually add 2/3 cup reserved poaching liquid and 1-1/2 teaspoons lemon juice; cook and stir until thickened. Stir half of mixture into 1 slightly beaten egg yolk; return to hot mixture in pan. Cook and stir 2 minutes longer. Makes about 2/3 cup.